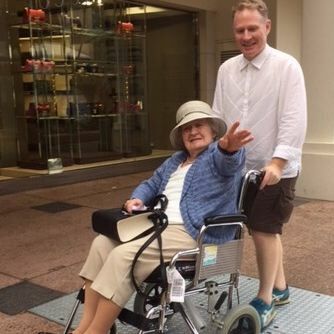 If there's anyone who is an advocate for the elderly - it is Simon Templeton. 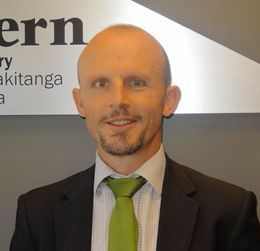 With over 15 years experience in the DHB, including clinically managing the Older Persons Health Community service, and as a service manager for Older Persons Health in Planning and Funding and even conducting audits within the aged care sector, Simon is well placed to lead Age Concern Canterbury into this growing market. As we cross the road to his favourite coffee shop, I'm aware of the great new location Age Concern have now moved in to on Papanui Rd. Not just because of the coffee shop, but it's a busselling part of town. Their new 'home' offers over twice the previous space for their team and a great spot to meet the needs of many elderly, right on their doorstep. Currently one of their main focusses is social isolation. Simon orders his regular flat white and tells me that "they make the best coffees in town here". Interestingly, the owner (serving us), immediately says that they're "Rated No. 1 on Bean Hunter for Christchurch" (for the un-initiated, that is a review site of the best coffee shops around the world). This was the perfect introduction to what we were about to discuss - how effective review sites play a part in todays world - both for the consumer and the provider of the service. Simon is well aware of review and booking sites. His last family trip was booked solely online using exactly that type of site. He points out that the reviews and comments from other users, along with the price point was what he used to help filter down his options. "4 star review average or higher" was what he and his family were looking for - and he says "the review averages were spot-on in every case". As we sit down with our drinks, Simon comments that he's looked at the AgedAdvisor site and found the search system "really good to use". The ability to look up a suburb if you can't remember the name of a facility was excellent along with some other intuitive features, that he had noticed. He even has a couple of great suggestions for adding to the site, which I quickly make a note of (at the time of publishing this piece, these are being implemented). As we discuss the mechanisms of a review site, especially one for people looking for an aged care facility or retirement village (either for themselves or a loved one), we both agree that, first and foremost, a review site for this sector can never replace actually visiting the facility or village. Simon recommends an unannounced visit and ideally at a meal time. Experiencing the interaction of staff with residents and them as visitors, the smells within the living areas, viewing the food, seeing what activities are on for the week and meeting the manager (if available) are all important. Yet, a review site like Aged Advisor can be a tool for assisting with that decision, along with the publication of, say, the audits for an aged care facility or talking with other residents and family members. For many siblings who have gone abroad - a review site offers them a glimpse into the life at these facilities and can be a reassurance when informing that decision from a distance. When reviews are fair, honest and moderated (where required) then a review site offers - not the only way, but an additional way to help people arrive at a suitable decision for that next stage in life. After an enjoyable chat and coffee, we head back across the road, knowing that we both have a similar mission - to help those in their later years get the best out of life. Age Concern : Started in 1952 by a group within the community that were concerned for the welfare of older people, they soon became early pioneers in the aged sector -co-launching the first official Meals-On-Wheels scheme with the Red Cross and opening the first rest home in Christchurch. 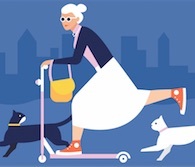 Today, Age Concern Canterbury is a lead organisation that connects, supports, empowers, celebrates and respects all older people (many of whom face loneliness, low income or indifferent health) in an inclusive community. Their Mission : “to achieve wellbeing, rights, respect and dignity for older people”. Currently they have 14,000 (and growing) clients active on their data base, and over 280 volunteers who drive and host minibuses, visit lonely people in their homes, man the reception desks and update information - with an emphasis on promoting health, safety and independence, and alleviating poverty, hardship, vulnerability and isolation. Age Concern Canterbury are funded by the community and their services depend on such support continuing by way of memberships, grants, donations and legacies.